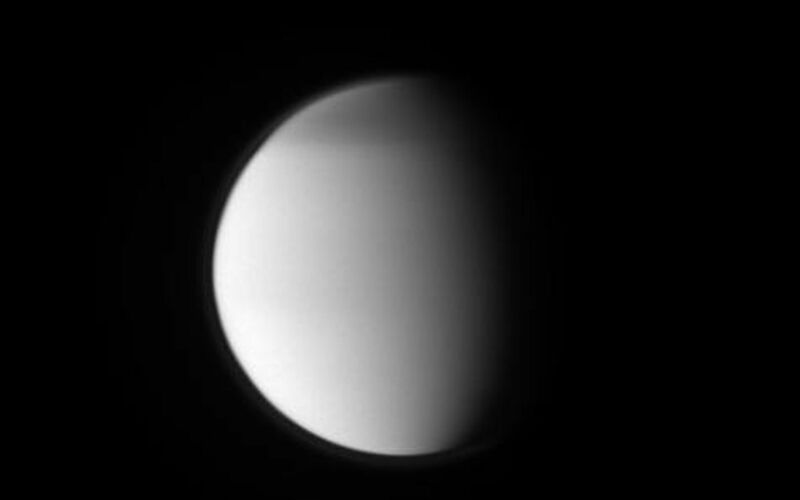 This ultraviolet view of Titan shows the moon's north polar hood and its detached, high-altitude haze layer. See PIA08137 to learn more. 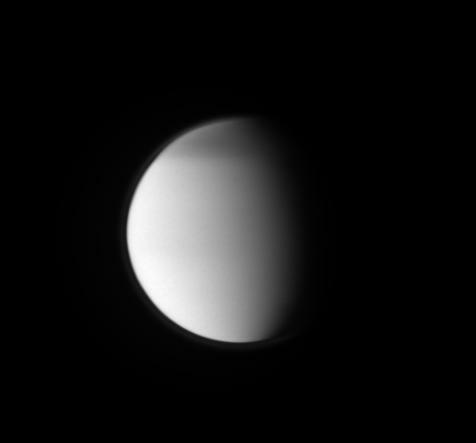 This view looks toward the Saturn-facing side of Titan (5,150 kilometers, or 3,200 miles across). 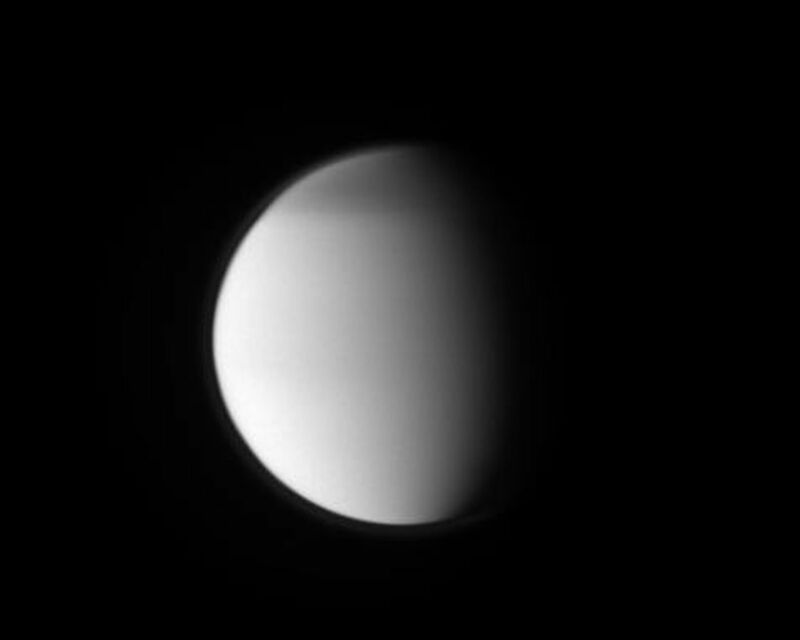 North on Titan is up and rotated 2 degrees to the left. 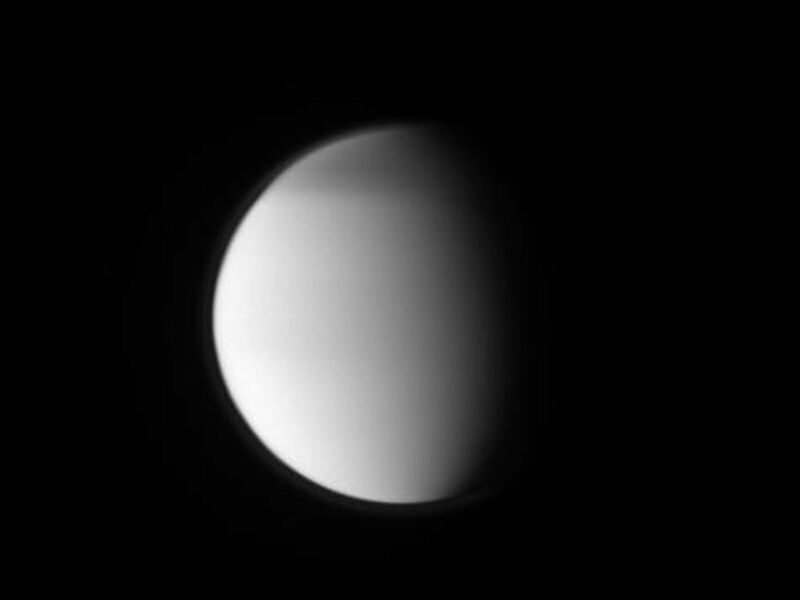 The image was taken with the Cassini spacecraft narrow-angle camera on Aug. 13, 2009 using a spectral filter sensitive to wavelengths of ultraviolet light centered at 338 nanometers. The view was acquired at a distance of approximately 2.2 million kilometers (1.4 million miles) from Titan and at a Sun-Titan-spacecraft, or phase, angle of 61 degrees. Image scale is 26 kilometers (16 miles) per pixel.